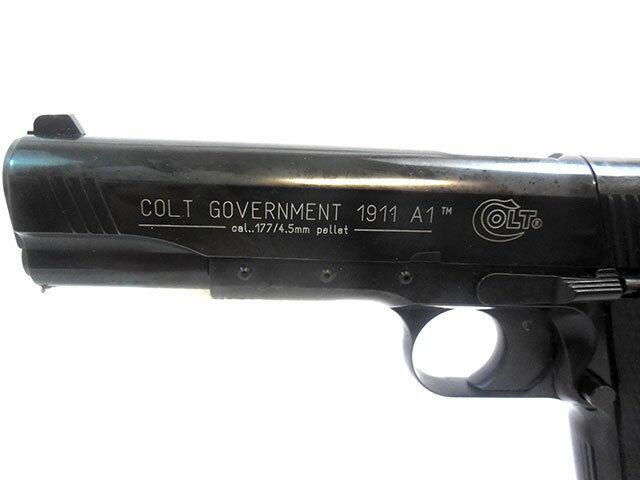 The Colt Government 1911 A1 is modeled after the Colt 1911 military pistol, which is known as one of the most successful U.S. military pistol designs. These are made to have the look, feel, and weight of an authentic 1911 military pistol. 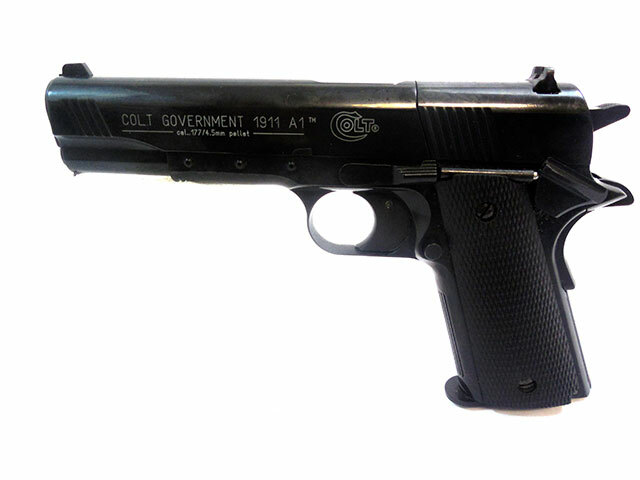 It is a .177 caliber CO2 pellet pistol. It’s both double action, and single action semi automatic. 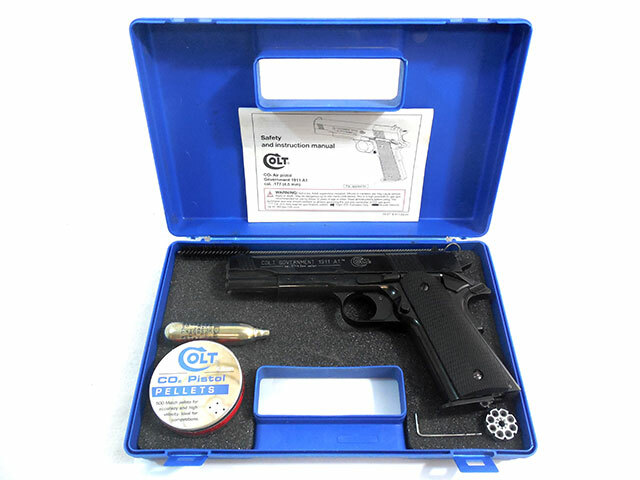 This one comes with the original case, a tin of pellets, a cleaning rod, and two 8 round cylinder clips. 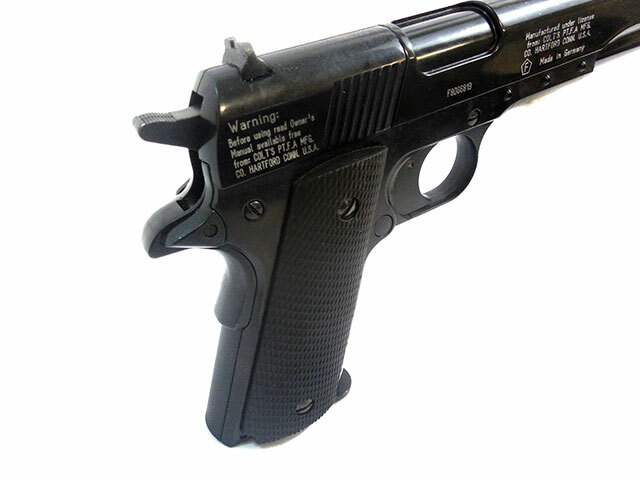 It has a blued finish, adjustable rear sights, and a checkered pistol grip. 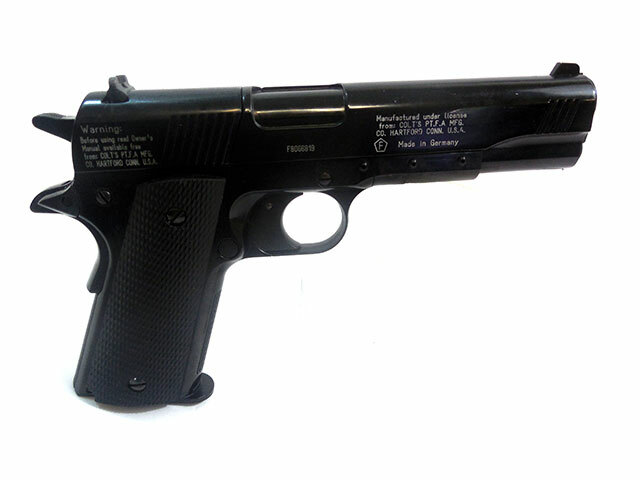 This gun is in great condition, with the metal retaining nearly all of the original finish. The velocity was tested in our shop at 343 fps using lead pellets. Plenty of fun in this gun!